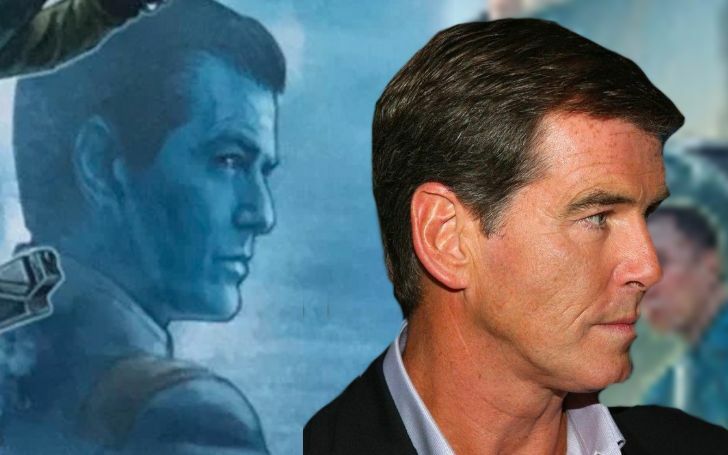 James Bond star Pierce Brosnan has reportedly joined the Star Wars franchise! The Star Wars franchise is known for its exemplary plot and state of the art VFX. But the franchise is also famous among the fans for introducing new characters every now and then. We're sure, by now, many of you might've seen the trailer of the upcoming Star Wars: Episode IX, Rise of Skywalker. Even though Mark Hamil will be missing out from this year's Stars Wars celebration, there seems to be a surprise for the fans. Recommended: How Did Gregor Clegane 'The Mountain' Torture The Shame Nun in The Season 6 Finale? Disney after unveiling the large mural that recapped all the franchise's history including their movie, games, and books, gave out a clue regarding the introduction of a new character. And the character seemed to be none other than Irish actor Pierce Brosnan. Yes, you heard it! The franchise's aficionados are convinced the Blue-Skinned Grand Admiral Thrawn, as showed in the mural, is no one else but Pierce. The mural which was unveiled during the Star Wars Celebration Chicago depicted the series in chronological order including all the original, prequels, and sequels. Well, looks like the James Bond star will become a huge game changer for the Star Wars franchise as his fans are all over the idea of him depicting the villainous role.